Step 1: The Transfer Customers section in the Customers menu will allow you to transfer customers from Quickbooks to your online store in four easy steps. Remember, the best way to use this section is to have populated an up-to-date listing of customers from the 'Get Customers' Section. 4. 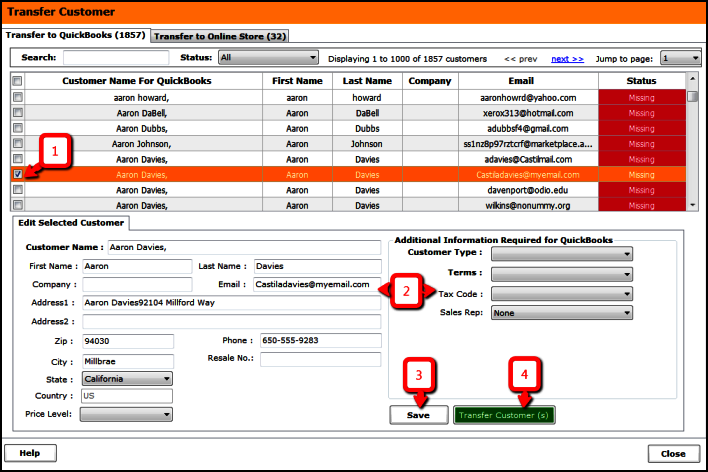 Click on 'Transfer Customer(s)' to transfer your customer to your online store. You will see a confirmation message once the same is done. Step 2 : The Transfer Customers section in the Customers menu will allow you to transfer customers from your online store to Quickbooks in four easy steps. Remember, the best way to use this section is to have populated an up-to-date listing of customers from the 'Get Customers' Section. 4. 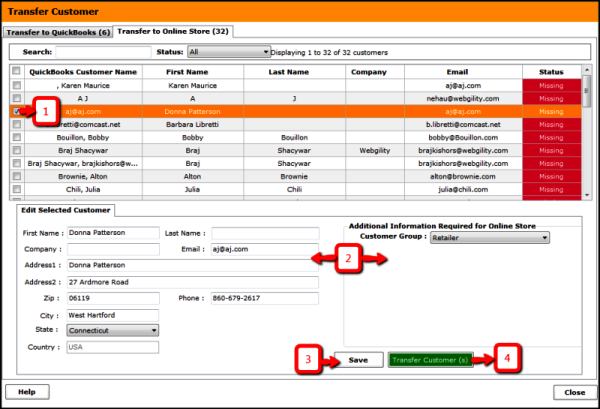 Click on 'Transfer Customer(s)' to transfer your customer to Quickbooks. You will see a confirmation message once the same is done. Step 3 : The Transfer Customers section in the Customers menu will allow you to transfer customers from Quickbooks to your online store in four easy steps. Remember, the best way to use this section is to have populated an up-to-date listing of customers from the 'Get Customers' Section.